Durrell Family, Emma, Ellen, Rosa. Sid Green Our great grandmothers reunited in the only way possible. 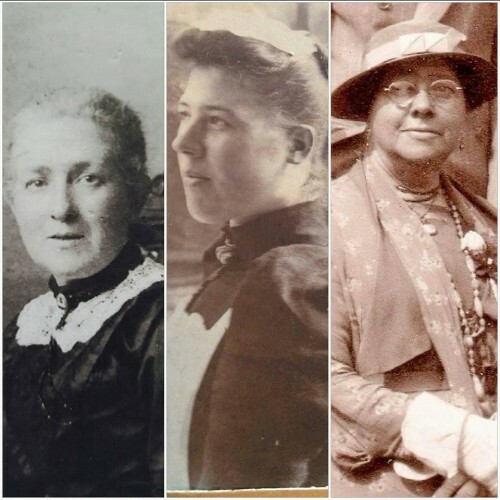 Emma mine and Ellen yours and Rosa…I would like to add Edith at some point. Julie Durrell I’m confused again now. Are they all Durrells by birth and who were their parents? Sue Critchley Yes Julie they were – their parents were Joseph & Emma Durrell. They had other siblings – Emma, Joseph, Fred, Edith, Annie, and Flora. Lorraine Wilkin Barbara Green is Emma my great-great grandma?